Ealing Specialist Advice Service offers free, confidential advice to carers or adults with additional needs in Ealing. 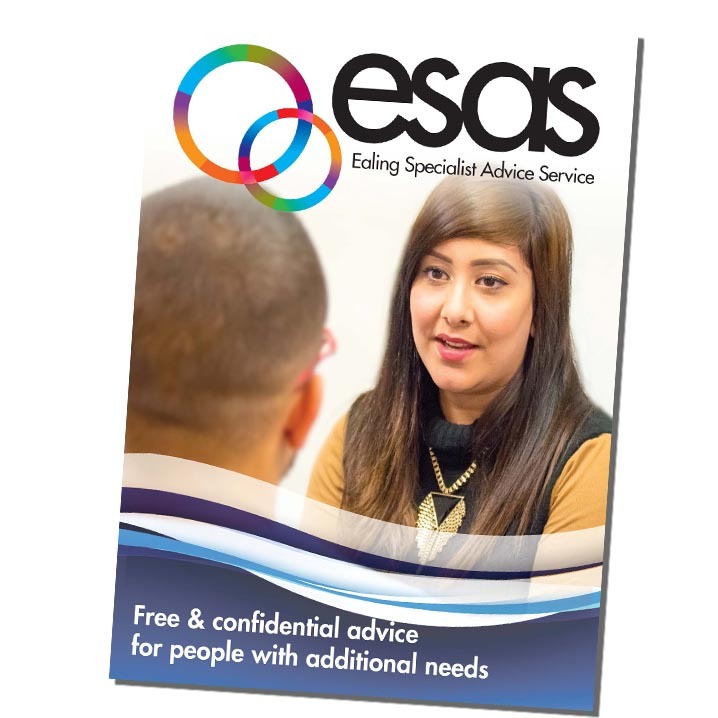 ESAS can arrange advice appointments via telephone, text, email or by visiting the office. Monday 24th of December - Tuesday 1st of January. We will reopen on Wednesday, 2nd of January. Our phone lines can be very busy. If we don’t answer right away, please leave a message with your name and contact number and we will call you back. For more details on what ESAS can help with and eligibility, download our information leaflet by clicking the image on the right or contact us directly with the details below. 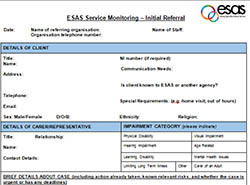 Professionals referring clients to ESAS can use the online referral form by clicking here. This is the quickest way to make your referral.